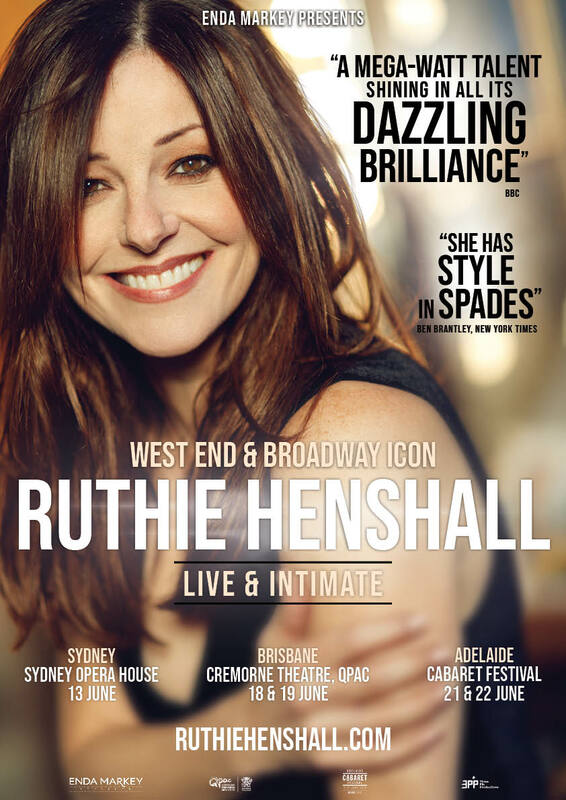 One of the most celebrated performers in the history of London theatre comes to Australia in a brand new show, Ruthie Henshall: Live & Intimate. In her first ever solo tour of Australia, Ruthie will perform in strictly limited seasons in Sydney and Brisbane this June. This up-close-and-personal show is a rare opportunity to see this dazzling star in an intimate environment, reinterpreting highlights from her multi-award-winning career as well as exploring the work of iconic artists including Stephen Sondheim. Carole King, The Beatles and Barbra Streisand. Don’t miss your chance to experience this incredible performer, live and intimate, this June.